Welcome to Zurvita – A Higher Way of Life. 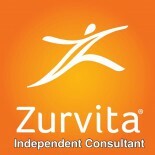 My name is Tania-Maria and I have been an Independent Zurvita Consultant since 2011. Even though Zurvita is still a relatively young company, our growth over just the past five years is unbelievable. Between 2011 and 2014 alone, Zurvita’s revenue grew from $3 million to $69 million. In 2016, we achieved a milestone by reaching 100 million in revenue! More and more Customers are using our products, and more and more Independent Consultants are earning substantial incomes for spreading the word. If you are seriously looking for your own profitable business in the trillion dollar wellness industry  , I am looking to personally work with you as a business partner. We are backed by a medical advisory board. Click here for more information. Now it’s your turn to write the next chapter of your story – let Zurvita help you make it happen! Start your own Business Today! This entry was posted on August 16, 2017 by Zurvita.com/HealthRoads in Business Opportunity, United States, Zeal For Life, Zeal For Life Consultant, Zeal For Life Products, Zurvita Events and tagged business coach, business compensation, business opportunity, financial freedom, financial independence, Health, home based business, Income, Leadership, limited time offer, marketing, medical advisory board, MLM, natural nutritional drink, nutritional facts, pro pak, promotion, success from home magazine, wellness business, Zeal Weight Management Program, zeal wellness formula, Zurvita, zurvita growth.